Enjoy the interview, and don't forget to enter the tour-wide giveaway at the end of the post! Amber: How exciting that you’ve made the leap into contemporary fiction, Serena! What was one of the hardest things about switching genres—and something you found especially enjoyable/rewarding about the journey? Serena: While writing the first draft of this book, I was also revising The Ryn and The Remedy, the first two books in my Eyes of E’veria fantasy series. 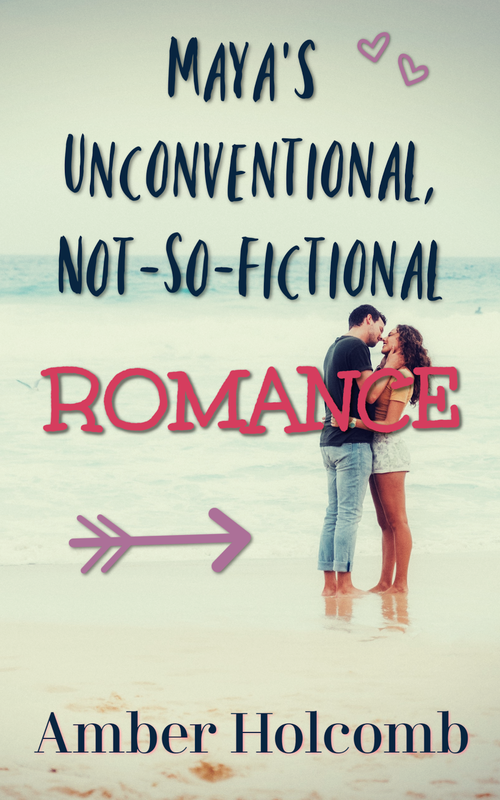 Because this was a different genre, based in a contemporary, “real” world, it was actually kind of a relief, a necessary break from the fantasy world, to escape back into reality—if only a fictional one, haha—to work on it. Serena: I’ve always loved musical theatre. When I lived in Kalona, Iowa as a child, I started taking dance at age five. When an ecumenical children’s choir started up in town a couple of years later, I signed up. Our children’s choir performances always had some aspect of drama—speaking roles, narration, that sort of thing—and my first “big” role was as the narrator of one of the Christmas productions. When I was in sixth grade, the local high school was seeking elementary students (sixth grade was still considered part of the elementary back then!) to play pickpockets/Fagin’s boys in Oliver! I tried out and made it! I had one line, reporting to Fagin what I managed to steal that day: “Nose rags.” Ha! We moved to a new town when I was in eighth grade. In high school I played a nameless teen in Bye Bye Birdie as a freshman, a pickpocket in Oliver! (again!—but this time I had a different line and sang in a trio) as a sophomore, and then was cast as “Liesl” in The Sound of Music as a junior and as “Ruth” in Seven Brides for Seven Brothers as a senior. The summer between my junior and senior years, I played “Lily,” an angel who comes to earth as a valley girl, in a Christian musical organized in another town, and as an adult I’ve participated in church and community theatre productions, playing roles like “Margie” in State Fair and “Eliza Doolittle” in My Fair Lady. I love live theatre, but since it’s usually a 3-5 hour drive to get to a show (and touring season is generally winter—not a great time to plan a road trip in Iowa!) I don’t have the opportunity very often. *sadness* Of all the shows I’ve seen over the years, Les Miserables is my favorite. There are honest tears in certain scenes. The movie was okay, and yes, I own it, but the energy and emotion of a live performance cannot be duplicated. Amber: I love seeing where some of the scenes and character inspiration for Intermission came from (based on the connections between your experiences and your story)! :) Thank you for sharing! What’s one of your dreams you wished you had pursued earlier—or at all? What’s one of your dreams come true? Serena: Hmm. I wish I would have been more confident and would have performed more in college, when I lived in Nashville. This little, small-town fish was suddenly tossed in a big pond of super talented fish, and...it was very intimidating! One of my dreams-come-true has nothing to do with performance. At 22, I was told I might never have kids due to advanced endometriosis. The fact that I have two beautiful daughters, ages 19 and 15, is my best ever dream come true. What encouragement would you give to someone who feels their dream is impractical? Serena: “Practical” is not the stuff of joy. Chase joy. Amber: To conclude our interview, is there a fun behind-the-scenes story you can share with us? That first designer—who was twice as expensive and shall rename nameless—refused my input, refused to change his initial concept, but only added (horrible) elements that looked totally cut-and-paste to try and placate me. The story would be *almost* funny now, except it was a very expensive learning experience with this moral: Even if the respected, online cover-art-judging folks hand a designer an award, it doesn’t mean they’re right for YOU. The fact that my bad experience led me to Jenny and Seedlings Design Studio, however, is the silver lining! She is amazing. Amber: I’m happy that story has a happy ending! :) The final cover is simply gorgeous! Thank you for joining us today, Serena! 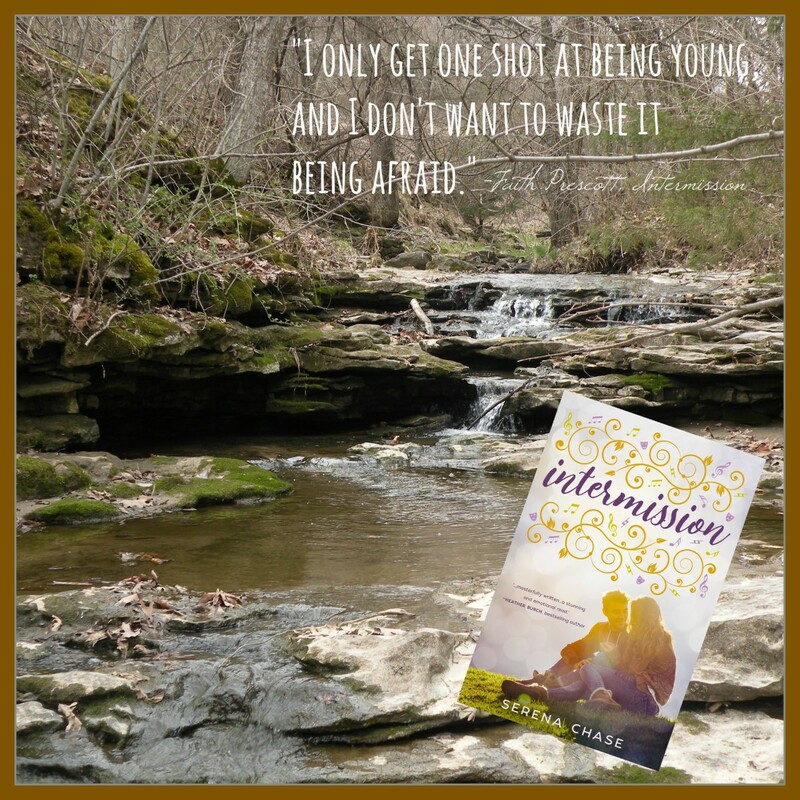 From the author: Five winners will receive a signed paperback (or a Kindle copy, if preferred) of Intermission. 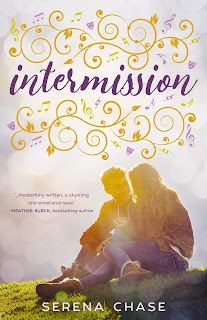 One Grand Prize winner will receive a signed paperback (or a Kindle copy, if preferred) of Intermission, plus a $40 Ticketmaster gift card. Enter the giveaway using the form below! Sixteen-year-old Faith Prescott eagerly awaits the day she will exchange her small Iowa hometown for the bright lights of Broadway, but her success-driven parents want her to pursue a more practical career, labeling “artsy” people—including their daughter—as foolish dreamers worthy of little more than disdain. 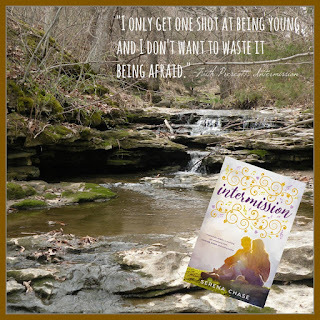 When Faith meets nineteen-year-old Noah Spencer she discovers someone who understands her musical theatre dreams . . . because he shares them. While I'm nearly a decade older than Faith (the heroine) at the start of Intermission, certain themes of her story profoundly resonated with me. I have limited experience in the world of theater, and I didn't grow up with the same struggles Faith faces at home. But the ache of waiting, wondering, wanting...the eagerness to fast-forward life and the fear of what might be lost in life's intermissions...these are trials of a sort that many of us can relate to and remember, no matter our current stage. The structure of Intermission is brilliant, clever, and poignant. In Act I, I enjoyed watching Faith and Noah's relationship unfold. The sweet moments. The tender introduction to romance. The way they inspire each other—not only in their career dreams, but (more importantly) in their acts of love and integrity. 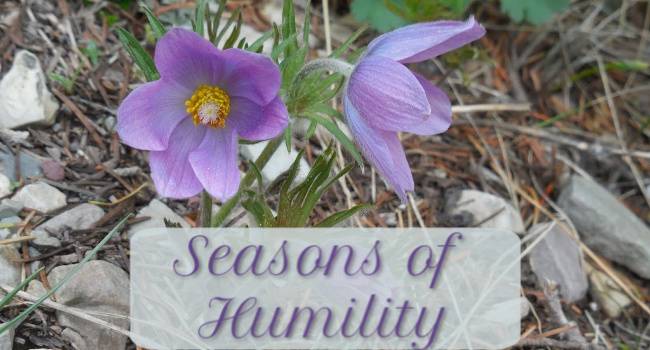 In these scenes, real questions arise, the kind we really ask: What does it mean to obey God and honor my parents? Are my prayers genuine? Why did God bring me to this place of blessing, only to press pause or take me through more pain? Seeing Faith (and Noah) wrestle with these questions moved me. And—as with all great fiction—it comforted me to spot reflections of my own feelings and uncertainties within these authentic characters. As for that intermission and the act and conclusion that follow, I leave it to you to discover where the plot leads. I'll just say there are some twists in store. That's usually the case in life, isn't it? 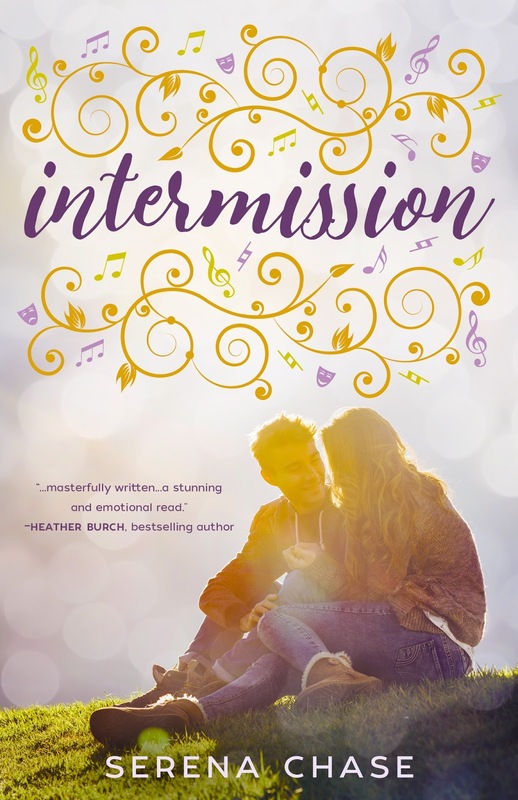 With some beautiful descriptions mixed in to raw emotions, Intermission is a powerful read for those longing for hope, encouragement, and perspective in the midst of relational strife or difficult delays. Thank you for being so kind and patient with me! 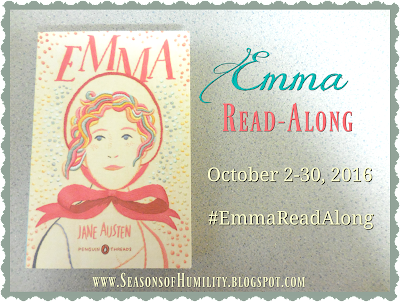 I do look forward to exchanging thoughts on the last half of Emma. I hope you've enjoyed the book, even if the read-along wasn't as well-organized as it ought to have been! 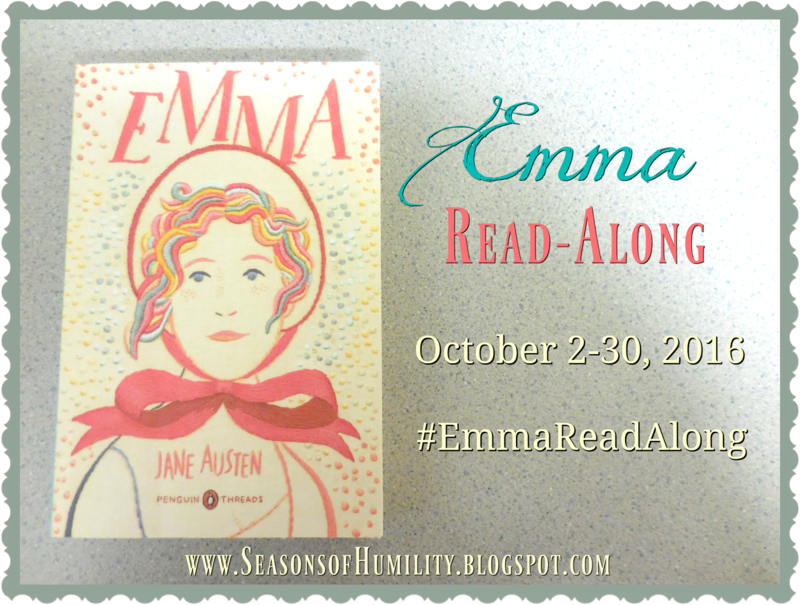 Welcome to the last discussion of the Emma read-along! Discussion Format: Favorite quotes, some general impressions, and four questions. "It seemed as if there were an instantaneous impression in her favour, as if his eyes received the truth from her's, and all that had passed of good in her feelings were at once caught and honored." "What did she say?—Just what she ought, of course. A lady always does." "She was in dancing, singing, exclaiming spirits; and till she had moved about, and talked to herself, and laughed and reflected, she could be fit for nothing rational." That seems to be a major theme, the idea that there is much relief in having no more secrets. Openness is praised (Mr. Knightley admits, "I love an open temper") - whether that be honesty and forthrightness in one's speech and manners, or the "truth and sincerity in all our dealings" that Mr. Knightley believes Emma has also learned to desire. As for Harriet... Well, I don't really feel like I came to know much more about her in the latter half of the book. But I'm happy for her and Mr. Martin! 1. What did you think of Mr. Elton's choice in a wife? And do you believe Mrs. Elton truly cared about Jane Fairfax? 2. Which scene of the story stood out to you the most? Perhaps one that made you chuckle...or one that melted your heart...or one that made you cringe with embarrassment. 3. Were you content with the matches that were made by the end of the story? Do you think everyone ended up in the right relationships? 4. Have you read any other Jane Austen novels? If so, which is your favorite, and how does Emma rank on your list?